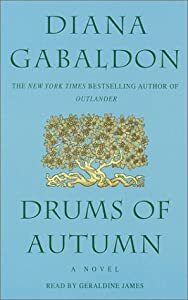 This entry was posted in Knitting Obsessed, Reading and tagged books, Claire, Diana Gabaldon, drums of autumn, Jamie, knitting, Outlander, romance, Scotland, time travel. Bookmark the permalink. I LOVE the Outlander series! I have been contemplating whether to attend the Book Expo in NYC this year and now that they have announced her as a speaker, I may just have to! I wish that something like that was even an option for me. Definitely go…and report back to your fellow fan! Please!